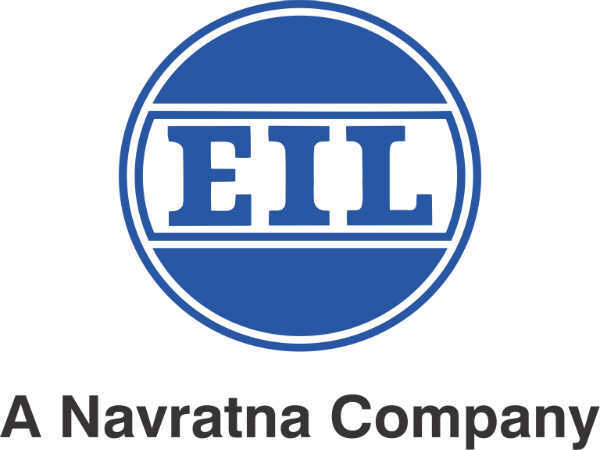 Engineers India Limited, one of the Navratna public sector companies in India, has released a recruitment notification for Management Trainees recently. The notification was released for a total of 67 trainee posts. The recruitment for Management Trainees will be done through Graduate Aptitude Test in Engineering (GATE), 2018, followed by an interview. After the selection process, candidates will be on training for one year and monthly emoluments shall be Rs 35,000/- excluding accommodation & transport. However, the regular pay scale of Rs 60000-180000 will be given on successful completion of training. Interested graduate engineers or final year students of engineering from the respective disciplines and who cleared/appeared for GATE 2018 examination can start their application process for Management Trainee post in Engineers India Limited. The last date to apply is May 2, 2018. Candidates will be shortlisted based on GATE 2018 score in the following disciplines: civil engineering, mechanical engineering and chemical engineering. Candidates who are shortlisted based on GATE 2018 will be called for an interview, which will be intimated through email. Management Trainee aspirants should apply online. 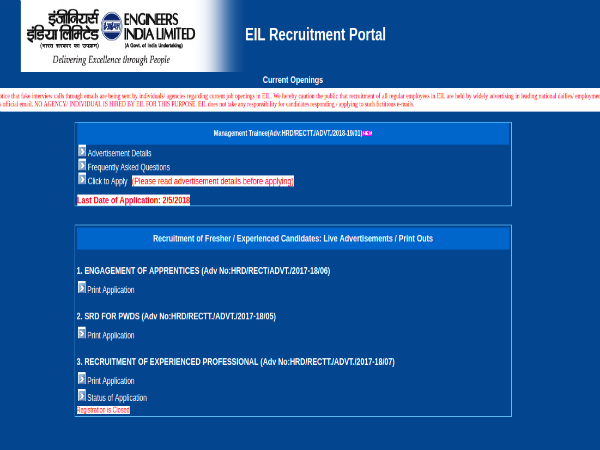 One should login to EIL Recruitment portal - www.recruitment.eil.co.in and start their application process. Candidates who do not mention their correct GATE 2018 registration number and personal information will be disqualified. However, the company will provide the travel allowance for those candidates shortlisted for an interview.